The name of the Marquis de Sade is synonymous with the blackest corners of the human soul, a byword for all that is foulest in human conduct. In his bleak, claustrophobic universe, there is no God, no morality, no human affection, and no hope. Power is given to the strong, and the strong are murderers, torturers, and tyrants. No quarter is given; compassion is the virtue of the weak. Yet Sade was a man of savage intelligence who carried the philosophy of the French Enlightenment to its logical extreme. His writings effectively release the individual from all social and moral constraint: for many, Sade is the Great Libertarian. The Victorians considered him 'Divine' and Apollinaire called him 'the freest spirit'; the Surrealists recognised him as a founding father, and he is a key figure in the history of modernism and post-modernism. With Freud and Marx, Sade has been one of the crucial shaping influences on this century, and reactions to him continue to be extreme. But he has always been more talked about than read. 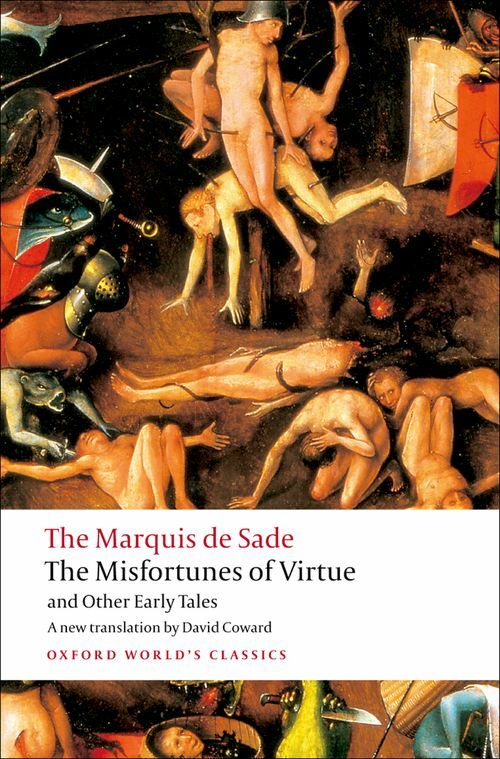 This selection of his early writings, some making their first appearance in this new translation, reveals the full range of Sade's sobering moods and considerable talents.